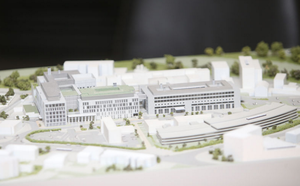 Further to the Religious Sisters of Charity getting ‘sole ownership’ of the new National Maternity Hospital. 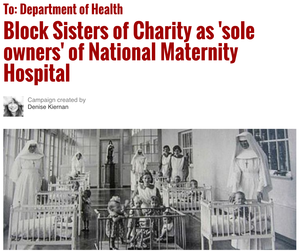 Posted in Misc and tagged Magdalenes, National Maternity Hospital, Property, redress, Sisters of Charity at 11:56 am on April 21, 2017 by Broadsheet. Any link for the petition? Check the friday papers page there’s a link at the bottom of the comments section. There is also a collection/donation to get a full page ad in one of the National papers. Amazing how something with “charity” in it’s name is allowed to accumulate massive amounts of money. That’s just not very charitable, forever playing the poor card. Did some work for the nuns years ago – trying to extract (a) an agreement to pay for the goods / services and (b) the payment itself was an absolute nightmare. What I learned later from experienced folk who fared better was that you need to talk the holy talk with them if ye want to do business with them. Jaysus. I reckon I could handle that if you mean shouting JESUS CHRIST and a few FOR GOD’S SAKEs down the phone at them? What, like for the love n honour of jaaazus, give us me fuppin’ money ye bunch a twisted hags? They ruined my two sisters lives and are now rewarded by the Irish government using my taxes. A National disgrace and a kick in the teeth to my disbelieving siblings. That picture is stomach churning. The nuns displaying their “fallen women” slaves with a guard of dishonor in case any of the slaves tried to run away. I’m surprised hobbling wasn’t part of the regime. I’m actually geninuely interested in what that photo is. Funeral? Wedding? Some holy day? 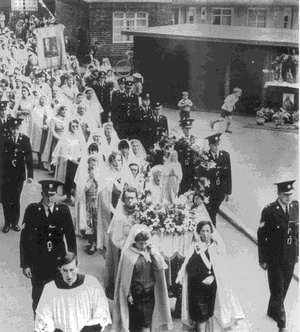 Probably a Marian or Corpus Christi procession, back when that was a thing. I remember being brought on a couple of them when I was young, having to hold out a ribbon on a banner while marching and getting given out to when we wanted to swap arms. You know what? You’re probably right. Look at the shrine to Jesus in front of the shed thing in the background. Corpus Christi, I’d say. Luckily, I was never dragged along to anything like that. I was, I sang as instructed, I danced as instructed – I did all the things I was threatened and cajoled into doing. I became fourteen years old – 5′ 11″ and well built, couldn’t be physically compelled . NO further attendance at any of this nonsense. …You should watch the film – The Magdalene Sisters – they re-enact that exact scene. Is someone suggesting that a cordon of ‘good strong nGardai’, escorting a troupe of alleged ‘virgins’ in a religious parade is a bad thing?? Good grief, what has this country come to? Just for the avoidance of error. Most rational people are against the handing over of publicly owned assets to ANY private organisation – whether religious or not – so the people who allege “Church bashing” are way off the mark. This theft of public assets has been ongoing for many years. Time for (urgent) change. When a tiny country, of approximately 4.50 million people can be called ‘Treasure Island ‘ by Vulture funds it is long past time to call a halt. Much obliged for that info, Justin, even though it leaves me more depressed than ever. Time for the Irish people to burn off the leeches (temporal and religious) who have sucked the life out of them over the decades. We need another civil war, a proper one this time …. As a man in my 70s I would urge all of you younger posters to sign the objection this bonkers plan. Its an insult to all the Irish women, past, present and in the future. 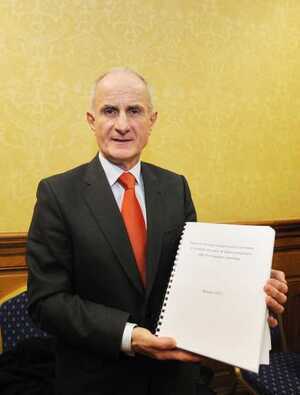 Religion has no place in medical care or education in Ireland. If anyone needs religion go to whatever church of your choosing, but keep away from medical care and education.